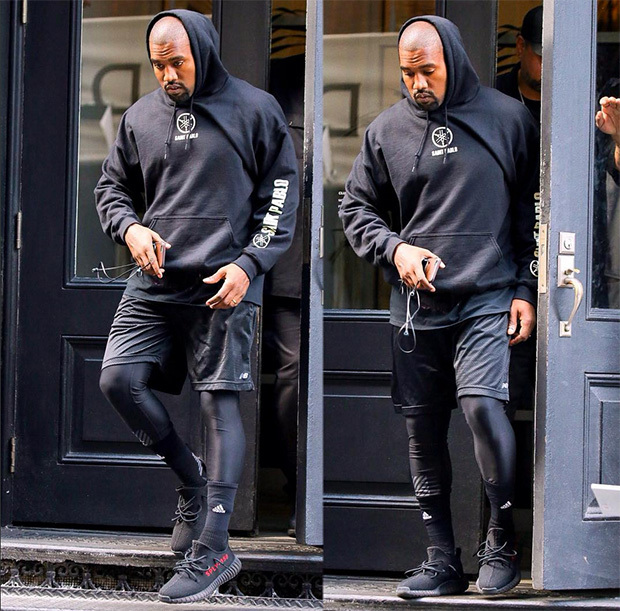 The Yeezy Boost 350 v2 is set to release in early September in the “Beluga” colorway (the one with the solar red stripe that runs down the laterla side), but Kanye, as usual, is already lacing up some never-before-seen goodies. 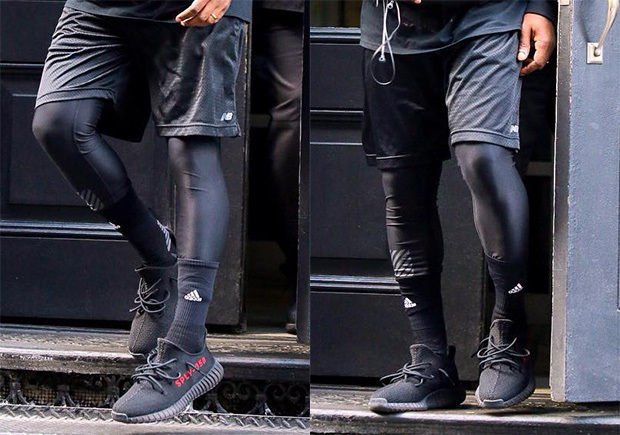 He was spotted late last week in NYC wearing a black/red colorway of the Yeezy Boost 350 v2, with the “SPLY-350” detail knitted in red. No word on a release date or if these were made just for the man who debuted “Fade” last night at the VMAs, so stay tuned for the latest on the Yeezy Boost 350 v2 and other upcoming drops.